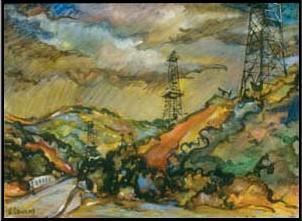 Limited Edition prints of oilfield paintings by JoAnn Cowans Artist/Historian are reproduced in the glowing color of Giclée. 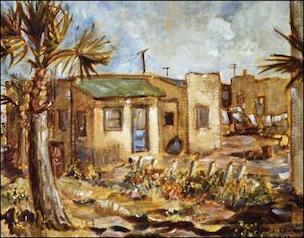 JoAnn is known internationally for her oilfield paintings. She is the only artist to have received Petroleum History Institutes prestigious “Keeper of the Flame Award’ for recording oil history. 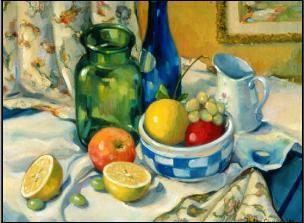 Her Giclée are in many corporate, private and museum collections. She has worked with industry leaders in this advanced form of reproduction since 1995 and her prints are known for their quality. NEW. Now custom sizes of JoAnn’s Giclée prints are available on canvas up to 58” by 40′. Black Gold: The Artwork of JoAnn Cowans® This special book is a perfect collaboration between artist and publisher. Tom Underhill designed and created a unique showcase for JoAnn Cowans’ paintings that show his understanding of her work. The book itself is a work of art. Her second book, The Marina Nobody Knows, a personal odyssey of the 6os is now on indefinite hold. The past three years has been focused on the subject that brought me to California-Hughes Aircraft and my husband, Ken Cowans’ work. Now I have come back to my artwork and will present a much more personal and wider scope of my past career. The first new additions will be portraits and figure paintings of the late 1960’s and early 1970’s. An example for this is the photo at right, a scene from Rick Jason’s movie “A Time for Love.” The story was about a couple that had met and loved in previous lives. 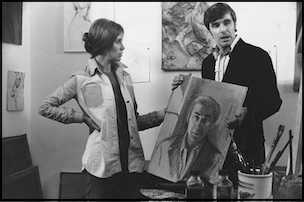 I painted portraits for the movie and furnished paintings and drawings for scenes in the artist studio of the Jane Merrow character who was the love interest. Benson Fong was cast as a friend of Rick’s. I also painted a portrait for Benson for scenes shot in his home. It was an exciting endeavour. I was given full screen credit right after the producer. My paintings and drawings were also used in all the studio scenes. Getting to see how a movie is made from beginning to end and being involved in many parts of the process was a memorable experience. Rick was very charming and cooperative when I was working with him on the portraits and costume design for the Venetian painting. Years later we became friends. More to the story and a new link, Reflections on Art will soon be added. Click a category image to see the prints in the category. 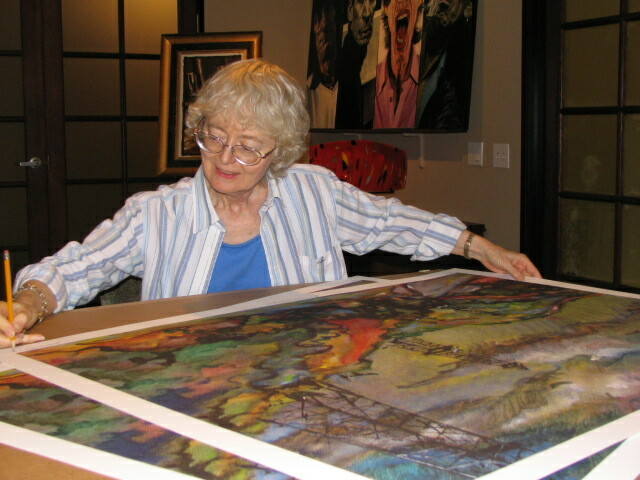 Studio scene with Jane Merrow showing her brother a ‘painting in progress” of Rick before she ever meets him. This scene was filmed in the home of the Benson Fong character. 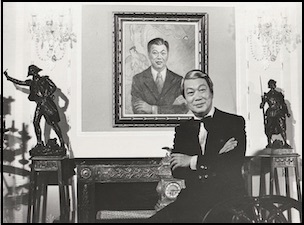 It was shot with Benson standing in front of the portrait I painted.